This is a plug & play solution that can be use without the help of a sound engineer. 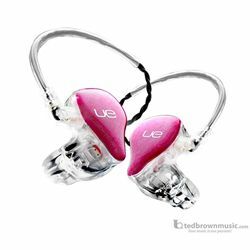 The UE Vocal Reference Monitor for female vocalists can help to ease the strain on the vocal chords and to reduce vocal fatigue. This specialty in-ear monitor only replicates sounds within the vocal spectrum. Female vocalists focus only on what they need to hear. The three balanced armatures are specifically tuned to support female singers. The 3-way crossover and integrated “low cut” filter create a sound signature for singing. Internal speaker configuration: 3 balanced armatures tuned specifically for vocal response.